The Nightingale is rather difficult to see. You will have a better chance hearing it. 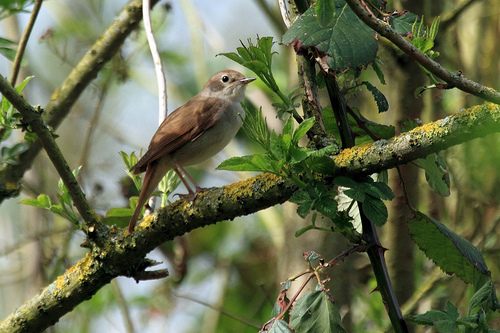 Especially in late evening and at nightfall, hidden in dense bushes, it will present its song. In that song there is almost always the characteristic crescendo lulululuuluuu. 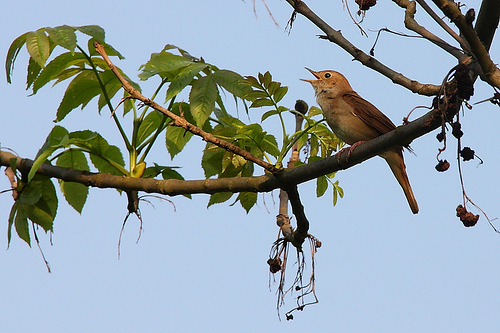 It is hard to imagine that such a great sound can come from such a small bird.